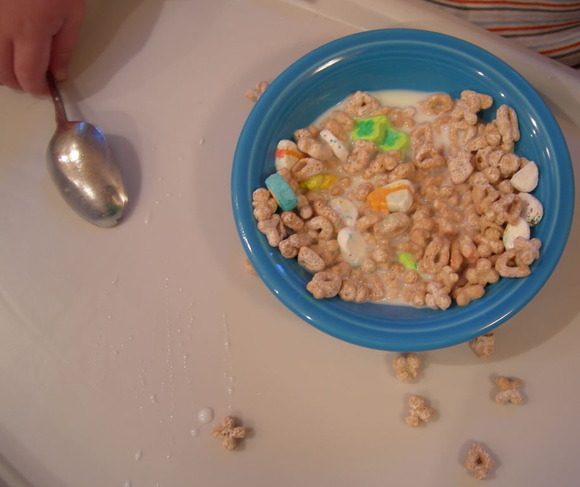 When was the last time you laughed because of the marshmallows in your cereal bowl? You’re so cute and such a blessing, Caylee-bug! I loved kissing your warm sleepy cheeks this morning! I cling to you with all my strength and soul. Your wondrous love will never let me go. O wondrous love that’s come to dwell in me! Your wondrous love WILL NEVER LET ME GO? Whose wondrous love will never let me go. I get bogged down at times spiritually, mentally, emotionally and physically and I’ve been learning that if I “Turn my eyes upon Jesus, Look full in HIS wonderful face. . . the things of earth will grow strangely dim in the light of His glory and grace”! That is why I love this song “O wondrous Love”. . . .it reminds me that HE is my all in all. I can’t wait to see Him and to look into His eyes. I just know that I will see the purest love there. Now, reading the lyrics I can see why you like the cd so much! Great post! The lyrics are beautiful! I love the sunrise pictures below! Absolutely Awesome! I just got back from the dentist–ORTHODONTIST to be exact, and the Dr. said that Jacob has severe over-crowding and eventually we will need to pull some teeth and do the whole braces thing. While we’re at it we might as well get Ethan involved. They go back in about 6 months. I had braces when I was a teen and my teeth have shifted so I’m going to get mine fixed, too. We’re going to get to know this guy REALLY well, LOL. I went to Starbucks and a consignment shop and found Grace a few more dresses (thats all she wants to wear. . . .) it’s so much cheaper to get them 2nd hand!! I’d smile if I had Lucky Charms too. Another Starbucks fan! I’m a complete addict. 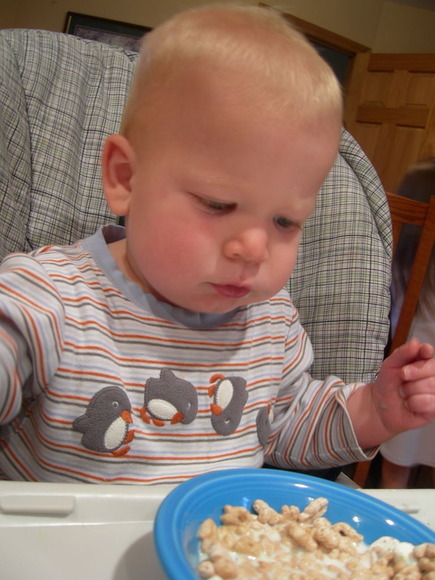 Your son’s a cutie………..I love hearing babies laugh!